BMW is offering drives of 5 of its 233PS MINI Cooper JCW up the hill at the Goodwood Festival of Speed Moving Motor Show on Thursday 25th June. With the most powerful engine ever for a road-going MINI, show-goers will be able to experience the John Cooper Works on the famous Goodwood Hillclimb route accompanied by a professional racing instructor. 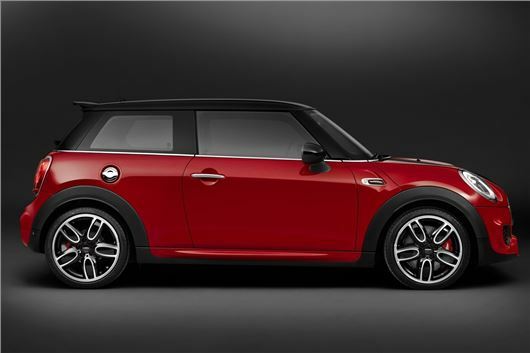 And the chances of a drive are very high with no less than 5 MINI Cooper JCWs available. The Moving Motor Show – Thursday 25th June – represents the first chance for UK drivers to get behind the wheel of the powerful new MINI, which packs a 2.0-litre TwinPower Turbo engine as well as suspension, brake, aerodynamic and interior upgrades. For those looking for an adrenalin rush within the confines of the MINI stand, a specially- designed simulator is being created to offer visitors a virtual taste of the hill climb route. The latest incarnation of the MINI John Cooper Works delivers 10 per cent more power and 23 per cent more torque, enabling it to reach 60 mph in just 6 seconds when equipped with the standard six-speed manual gearbox or 5.8 seconds with the optional six-speed Steptronic automatic. Anyone interested in driving the most powerful MINI ever should visit the manufacturer’s stand in the Moving Motor Show pavillion. Tickets for the ultimate test drive experience are now on sale at just £30 for an adult ticket, young persons (13-21) half-price and children under 13 free of charge, via www.goodwood.com/tickets or 01243 755055.